Are You Spiraling Toward Burnout? Burnout. An increasingly common symptom of modern culture. What are the causes? The signs? Does it impact women differently from men? And most importantly, how do you reverse the spiral? Jim & Steve interview author Bonnie Marcus, who wrote a recent blog post detailing her own journey into burnout. 3 Responses to Are You Spiraling Toward Burnout? 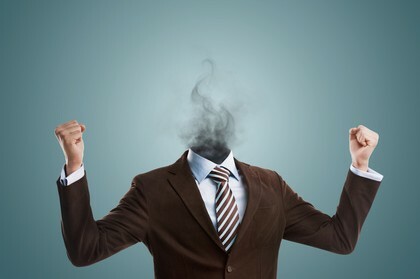 I listened to your show this morning.you both mentioned you had experienced burnout. How did you recover? I have many times turned on the radio at the tail end of you show on Sunday. Each time I hear your last comment on the work place and it is so frustrating because it is always helpful in my working inviroment but also my negative struggling life. I am 66 working for one of the most toxic companies ( in my opinion) in Seattle. They use scare tactics, negativity, drama , want more for less from employees (this statement came from top dogs in all employee meeting). The people have picked up on these and have the same attitude. Instead of seeing the good that is in the company, we only see crap. I truly hope your radio show continues with thes issues and I can get up early enough to listen.